January 10, 2013 – The demonic travel blogging world, caviar & satay on Singapore First Class & much more! Nate, nice connecting online. Love the originality of your website, keep the good stuff coming! Loyalty Lobby has a chain specific hotel promotion tab in its website. That’s good. I am still looking for a good place to bookmark that has ONLY the main current quarterly promos of the top hotel chains, a quick look there to remind us all about the main promos in ONE simple page and quickly compare them! Everyone usually throws the kitchen sink in these promo pages, I just want the MAIN quarterly promos, such as the current Club Carlson Triple Points, the crappy Power Down Starwood promo, the double points Hilton promo, the Marriott megabonus (site was down when updating the post! ), the missing Hyatt promo (hint!! ), the takethebestone Priority Club promo at the moment….That’s it! Loyalty Lobby on how to get Fast Tracked to Hilton Gold. Or you can get the Hilton no fee Amex and put $20k on it. If I had affiliate cc links I would very smoothly slide one in here. Please laugh! Frequent Miler is doing his own Million Mile March, err excuse me, Million Mile Madness. Very original, I like it. I like all things original in this space, we need so much more of it! And why are so many mad people living in Ann Arbor, Michigan? A dolphin stampede overtakes whale watching boat. Wow, what an amazing site! Points, Miles and Martinis wrote about the Top 4 Club Carlson Hotel Redemptions. Thank you for this post! I had no idea about the Norway properties and that there are two new properties coming to Maldives. Blogging is very educational! (and sure is time sucky!). And thank you for calling me “famous travel blogger”…I chuckled when I read this! Midnight Sun. Iceland. HD Video. Wow! Saw this at Vagabondish.com first. Fantastic video on how to stop TSA from stealing your valuables. Because, you know, “TSA are lazy pathetic thieves”. Very funny too! This guy does NOT like TSA, lol. The Best F***ing Cruise Ship Review Ever by Gadling. Ok, this is full of F words. But I found it very funny, especially the end with F***ing Karaoke and the old man singing. If you do not like the F word, skip! Ben’s “Bling it on: Qasr Al Sarab” review in UAE. For some reason, looking at the hotel pics finds me cold. Maybe I have seen so many of his pics in luxurious hotels that just does not do it for me anymore. Weird feeling. But I sure loved the desert and camel pics though! Gary Leff wrote an excellent post on how to fly First Class on Singapore Airlines on points. This would have been my MVP post of the day but Nate won it. I may send wife and kids to see family in Singapore next Christmas and I guarantee you they will NOT be flying Singapore First Class! 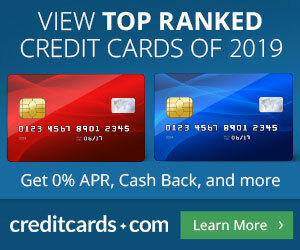 A credit card with reward switching buttons was sighted at CES. No miles…but certainly interesting. I look at my fat wallet with all the cards for the different bonus categories and…it hurts! Did you know American Airlines owned a $23 million dollar luxury London townhouse used by CEO Tom Horton and other executives? Ludicrous! They finally agreed to sell it and employees loved it! I must admit I am either becoming used to the credit card pimping, I find way too much other good stuff to feature here or, maybe, just maybe, there is a noticeable improvement out there in the practices of bloggers. If the latter, I think it is wonderful for all! Or, more likely (hopefully? ), the most blatant attempts have been silenced a bit? Time will tell. Pennsylvania Man Attempts Suicide Twice On Way to Work, Ends Up at Work Anyway Just caught this, is this a joke? If not, this guy is a joke for sure! If not a joke, I hope the guy gets some help soon! Love the story on failed travel blogs! Me too! Thanks for reading & commenting! MVP post was a great one tonight! Yep, as soon as I was alerted to it & started reading it…I immediately placed it the MVP slot! Thanks for reading & commenting! Congrats. You win….a free day pass from my infamous “Not So Best of” category, lol. Seriously, thank YOU for alerting me to that blog! Thanks fo reading & commenting! Does it seem that people we know are more interested in the flights to Singapore (and the lounges, etc) rather than actually going to Singapore? Second it! And thanks for reading & commenting & the kind words!